Value Added Personnel are proud members of Recruitment Consulting Services Association (RCSA), Australian Human Resources Institute (AHRI) and Australian Industry Group (AIG). Value Added Personnel are Corporate members of RCSA. RCSA Corporate Members, including their staff, are committed, as part of their Membership, to abiding by the ACCC authorized Code for Professional Conduct which sets the standards for confidentiality and privacy, honest dealings, respect for work relationships, respect for law, respect for safety, respect for certainly of engagement and professional knowledge. The RCSA sets the benchmark for recruitment and on-hire industry standards through representation, education, research and business advisory support. The mission of the RCSA is to represent and serve the interests of members for the increased profile and professionalism of the industry. The benefit of using a recognised recruitment and on-hire company is in the breadth of knowledge and experience that they can bring to our Client’s recruitment process. Employment is an issue fraught with challenges. Whether hiring a new employee, finding a temporary or contract worker, or searching for a new job, you need to be assured that the company and individual you are dealing with is taking the issue as seriously as you. Legal compliance, issues of work health and safety, issues of corporate and candidate privacy, and the importance of a strong, proven recruitment process are all needed to ensure that not only is the candidate right for the job, but the job is right for the candidate. 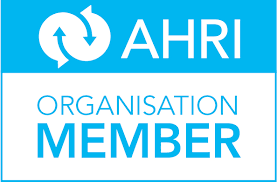 Being an Organisational member of AHRI enables VAP to stay up-to-date with the latest developments in HR, access essential resources and information, stay in touch with the latest industry developments and grow our management and business skills. We as an Organisation, value the ongoing professional development of not just its HR and people management employees, but of the all our casual employees. AHRI represents around 20,000 human resource and people management professionals by setting standards and building the capability of the profession. 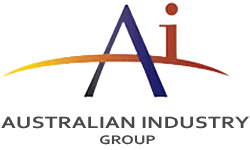 The Australian Industry Group ((AIG) is a peak industry association in Australia which along with its affiliates represents the interests of more than 60,000 businesses. They ensure industry has a strong voice with Government. AIG provides practical information, advice and assistance to help members run their businesses more effectively. It ensures through policy and leadership that members have a voice at all levels of government, by representing and promoting their interests on current and emerging issues. Being a member of AIG we have professional advice and support at our finger tips. We are able to plan for the future with access to information and stay ahead of the ever-changing regulatory environment.